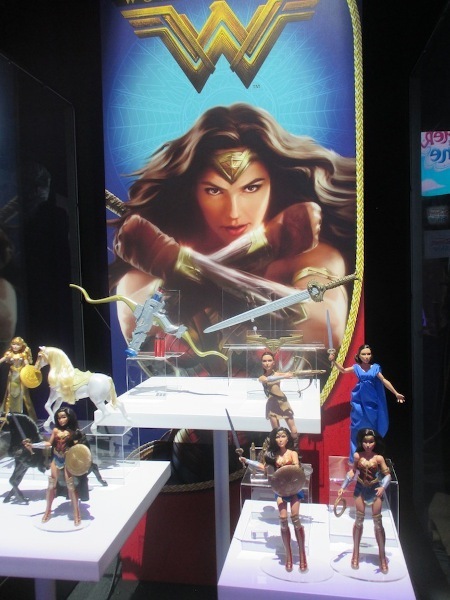 Mattel’s Wonder Woman movie doll, photographed at New York Toy Fair. The summer blockbuster season was kicked off by a femme fatale (emphasis on the “fatal”) in a form-fitting bustier/armor and a pair of sensible work boots. (That is, if your work is making the world safe for democracy and rid of evil-doers!) Yes, the new-and-improved version of Wonder Woman has hit cineplexes around the world, and the sound of cash registers ringing and credit card readers … beeping? blipping? … can be heard everywhere. 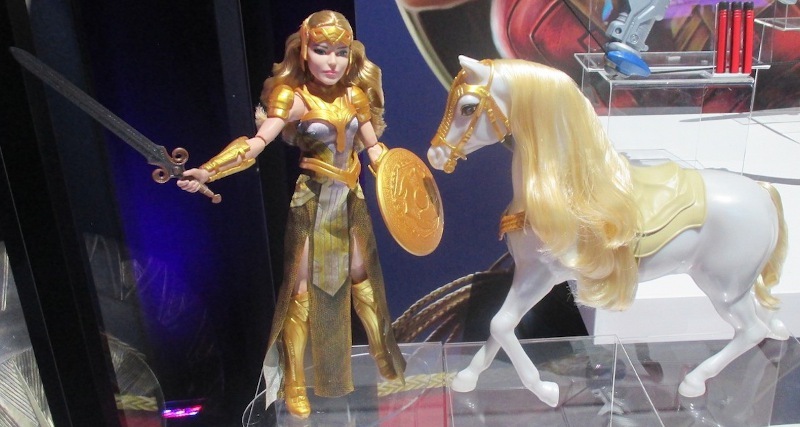 Queen Hippolyta, as seen at 2017’s Toy Fair. 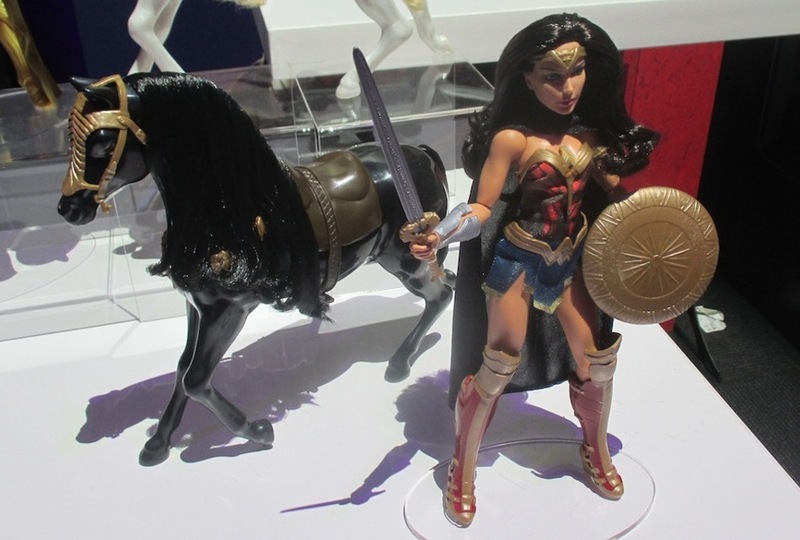 Robert Tonner’s Diana Prince (aka Wonder Woman) collection, at Toy Fair 2015. Colliding with the release of a superhero flick where a beautiful young woman fights to free the world of terror, we all lived through a premeditated incident of evil and horror where a radicalized terrorist self-exploded, killing himself and his aimed-for targets: loads of little girls. The preteens and tweens were attending Ariana Grande’s Dangerous Woman world tour, and the tragic, senseless murders proved that a dangerous pop star can be eclipsed by a single-minded, hell-bent dangerous man. 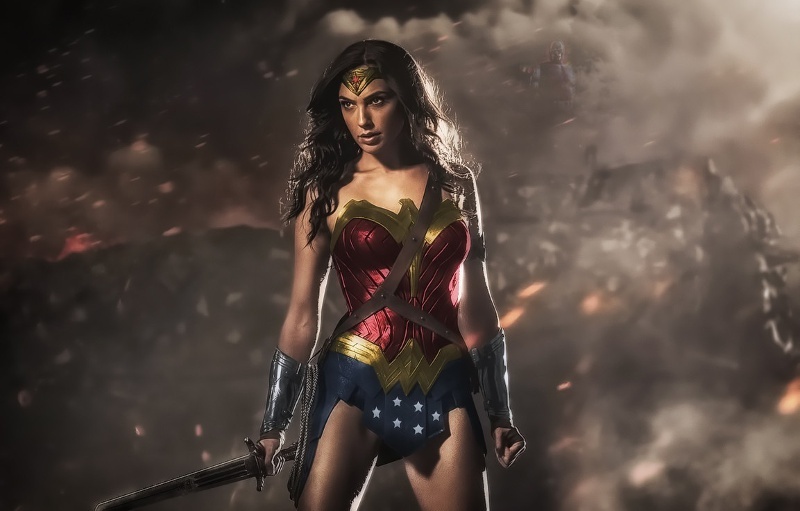 Gal Gadot is the new Wonder Woman, an excellent merging of actress and role. That’s one of the reasons, perhaps, that Wonder Woman is resonating so deeply with moviegoers. One of the latest terror attacks was so deliberately focused against women, teenage girls, and prepubescent female concert attendees. The killer didn’t execute his scheme at a soccer match or a mixed-martial-art exhibition. No, he went after girls, and girl power can’t conquer a mass murderer. 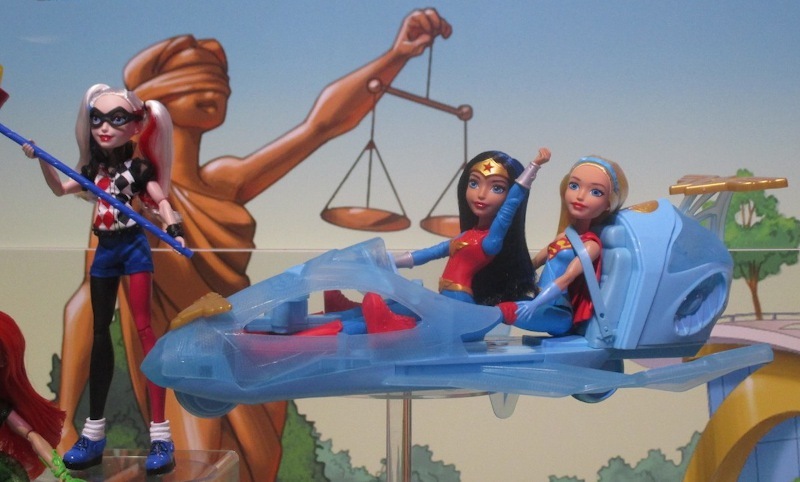 Wonder Woman takes to the sky, in her “invisible” plane from Mattel. I think this is one of the driving forces for people wanting to embrace this newest incarnation of the DC superhero. In the movie, she’s played by Israeli actress Gal Gadot, who has been both a model and a soldier in her actual life. Having served two years in her homeland’s defense force — she worked as a combat instructor — Gadot brings a realism to her role. Interestingly, her Israeli nationality is causing certain nations to want the film to be pulled from screenings or boycotted by its citizens. You see, Gal Gadot — a Jewish patriot — is seen by many misguided people as a dangerous woman. 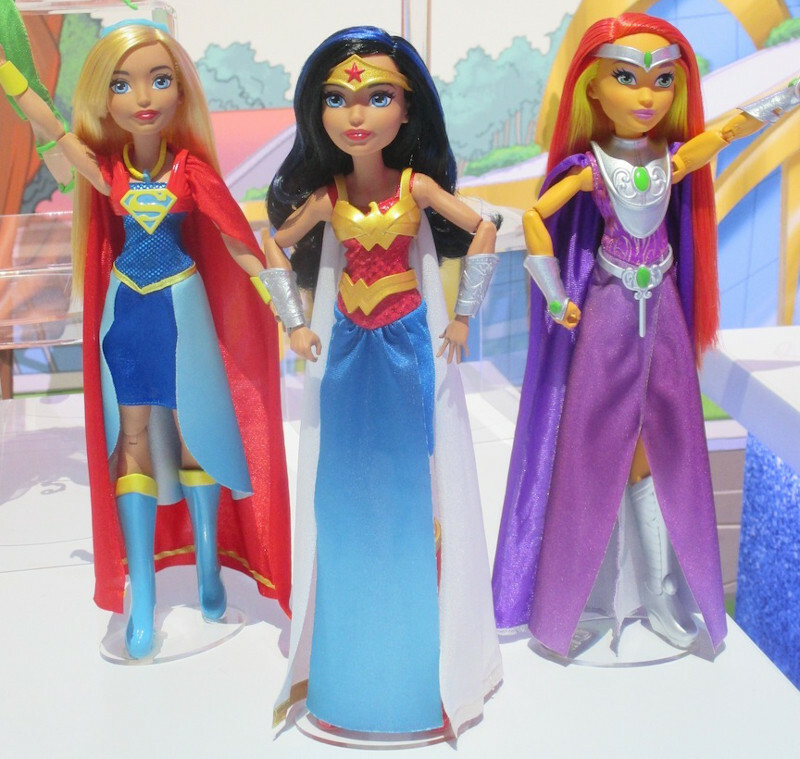 A variety of Wonder Woman dolls, displayed at Mattel’s showroom. 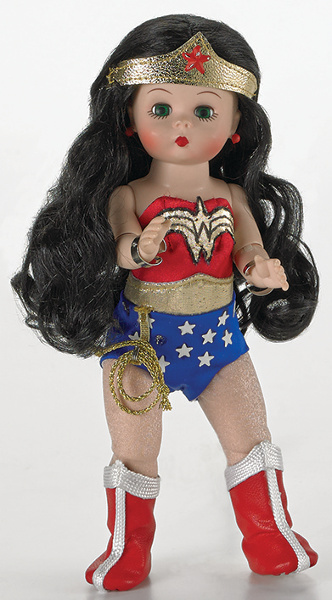 Alexander’s Wonder Woman wears the classic star-spangled costume. When I saw the array of Wonder Women characters at Toy Fair in February, I was impressed by how naturalistic they looked. They weren’t overtly sexualized — cheesecake creations that make you wonder how WW can stand upright and battle anyone, without toppling over. 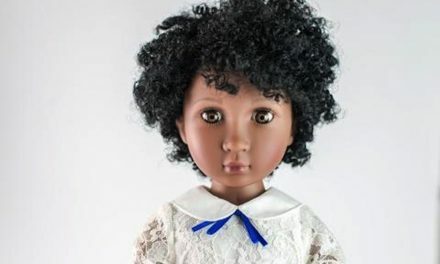 No, these dolls did look like they could be courageous and powerful, strong and dangerous. 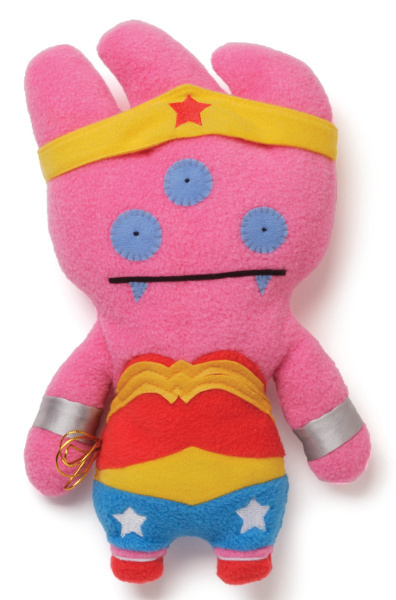 Pretty Ugly’s version of the powerful Wonder Woman icon. It’s odd that the original Wonder Woman comic-book heroine debuted in 1941, during a seemingly long-ago era when the real world was threatened by an inexplicable gathering of terror. 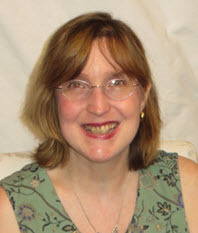 The “axis of evil” wasn’t the conceit of a comic-book writer. It was the actual gathering storm of horror, inhumanity, and brutality that was threatening to cloak the world. Wonder Woman came into being during the WW II years — how fitting, then, that her initials (WW) mirror the historical epoch that birthed her. Now, fast-forward just a little over 75 years, and we are on the precipice of evil once again. And the forces that Gal Gadot’s character has to square off against on the big screens are not so far removed from the terror that face young women — dangerous and wonderful — who populate the planet today. 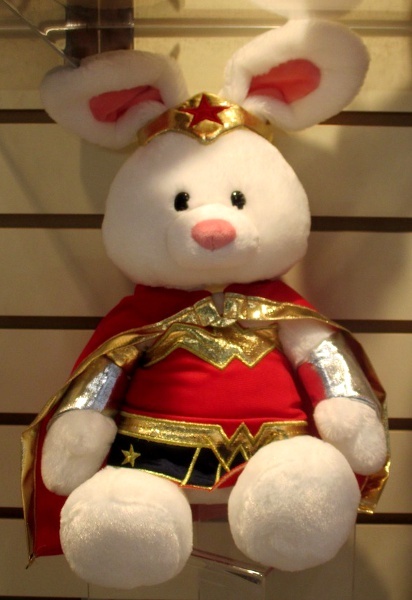 Gund’s tribute to Wonder Woman is a plush bunny one. During the recent Women’s March on Washington, many female attendees donned cat-eared hats, representing female genitalia. 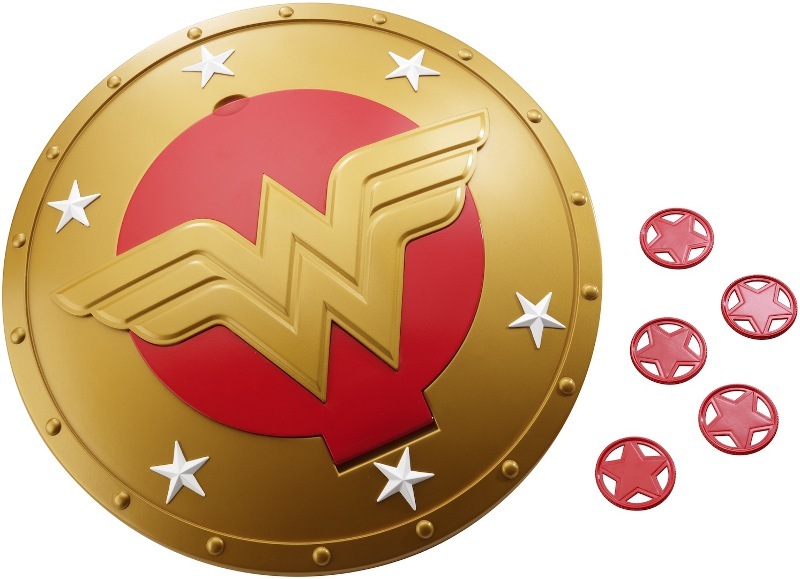 More fitting than buying these p-themed caps, females of all ages and backgrounds should band together to show their support of a woman hero — even though she’s fictional — who is prepared and ready to stand up to her foes. Buying a ticket to the Wonder Woman film, and bringing a daughter or granddaughter, sister or mother — is a way to voice your support of a world where women can, and should, flourish. There are so many different Wonder Woman collectibles out there, a person can have a field-day sorting through which ones she wants to own and display. Honestly, how empowering if during a future march or gathering, women took to the streets and hoisted their WW effigies high into the air. What a message that would send to the viewers at home who fail to see the value of the female gender. Supergirl, Wonder Woman, and Starfire, part of the DC High School line. Carrying a Wonder Woman doll or her shield, identifying with this Amazon warrior who is not afraid to do battle, is a liberating step if a mass march has to be planned in the near future. This summer’s blockbuster movie doesn’t just bring to life a well-known, well-crafted, two-dimensional icon. 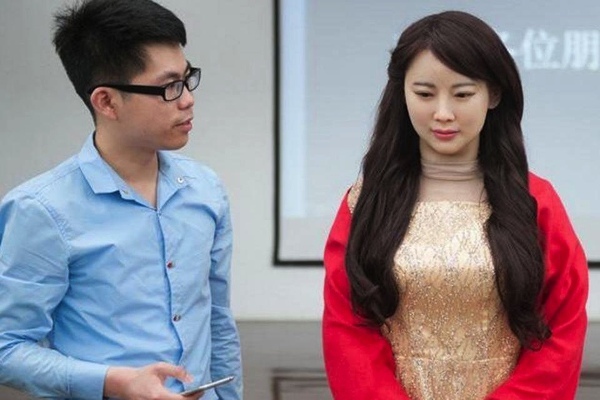 It unleashes the untapped spirit and self-worth of its female attendees. All young women need to know one thing: they are wonders. They are meant for great things. PreviousWill ‘Once Upon a Time’ have a happy, collectible ending for fans? 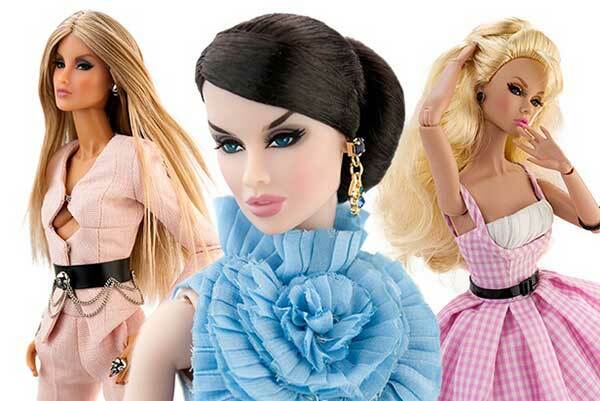 Could You Live Your Doll’s Life? And Should You Want That?